The global sugar industry is often slammed for wasting freshwater resources. In SA, sugar farmers and processors have found practical ways to improve water use efficiency. The world, it seems, has an insatiable sweet tooth. Despite this, sugarcane farming comes in for fierce criticism for its mono-cropping practices and negative environmental impact. More recently, sugar mills too have been the target of negative press, and have increasingly been urged to improve their water use efficiency and limit their damage to the environment. South Africa’s 166-year-old sugar industry has always considered itself proactive in addressing public concern about its environmental and social impact. 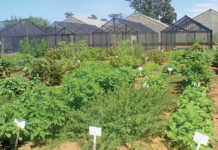 Its SA Sugarcane Research Institute (SASRI) is world-renowned for its groundbreaking research aimed at mitigating this impact and promoting the industry’s sustainability. Improving water use efficiency in sugarcane production and milling has long been a key focus of SASRI and the Sugar Milling Research Institute’s research. As technology develops, significant progress has been made towards enhancing this focus. Dr Carolyn Baker, SASRI’s director, points out that research for improved water use efficiency is vital for the South African sugar industry as the crop is tropical and requires more than 600mm of water annually, whether through rainfall or irrigation, to produce optimally. Dr Marilyn Govender, natural resources manager with the SA Sugar Association, stresses, however, that sugarcane is not a water-intensive crop. “When sugarcane is processed in a mill, the water content is extracted and actually used in the mill’s sugar production processes,” she explains. Sugarcane contains 15% sucrose, 15% fibre and 70% water. Mark Napier, general manager of manufacturing for the farmer-owned UCL company’s sugar milling, wattle bark processing and pine lumber milling facility at Dalton in KZN, concurs. He says that his sugar mill crushes up to 135t sugarcane/hour, from which about 90t of water is extracted for use in the sugar milling process. This use of water extracted from sugarcane is typical of sugar mills. And like other mills, UCL also produces its own ‘green’ power. Dried sugarcane fibre – bagasse – is burned in the boilers to heat the water for milling processes. The steam is also used to drive turbines that co-generate most of a sugar mill’s electricity requirements. 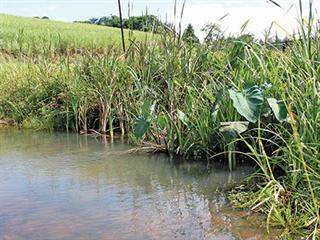 Well before the sugarcane is harvested and transported to a sugar mill, a growing number of SA’s sugarcane farmers are implementing measures to improve water management in their operations. David Wilkinson, SASRI’s extension specialist: Midlands North, is a strong promoter of sustainable practices among sugarcane farmers. The Sustainable Sugarcane Farm Management System (Susfarms) was developed in early 2000 by forward-thinking members of the Noodsberg Canegrowers’ Group (NCG), also in KwaZulu-Natal. The intention of this voluntary participation and self-evaluation initiative was to encourage NCG members to take a holistic view of their sugarcane farming operations to improve sustainability, and to reduce environmental and social impact. So successful has Susfarms been in the Noodsberg area that it has earned the support of both the SA sugar industry and the World Wildlife Fund. Susfarms is now internationally recognised as an example of sustainable sugarcane production. 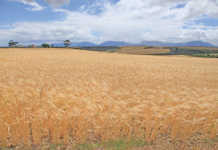 The South African sugar industry is gradually rolling Susfarms out to sugarcane growers in KwaZulu-Natal and Mpumalanga. Susfarms requires participants to allocate approximately 10% of their farmland to waterways, roads and contour banks. Guidelines from the Department of Agriculture, Forestry and Fisheries as well as the Agricultural Research Council also give sugarcane farmers the tools to correctly lay out and construct roads, waterways, contour banks and terraces. Waterways should be covered with a grass such as kikuyu, as this grows fast, has a good root network and is easier to control than indigenous grass species. Ideally, the grass should be planted in instant turf form so that it establishes far quicker than it would from seed. Another SASRI best management practice recommended for improved water management, especially for erodible soils, is that sugarcane grown on a 12% to 20% slope should not be burned before harvesting, as is normally done in the sugarcane growing regions. This allows harvest residues to remain on the surface to minimise erosion, improve moisture penetration, and improve the soil’s organic matter content, while the next sugarcane ratoon is growing. For improved water-use efficiency in irrigated sugarcane, SASRI has been conducting research into a variety of techniques. One is Susfarms; two others are MyCanesim, and the Surface Energy Balance Algorithm for Land (SEBAL). MyCanesim is an online, weather-based modelling system that estimates sugarcane crop water use and growth and provides real-time irrigation scheduling advice to subscribers via SMS, fax or email. According to SASRI researchers Dr Abraham Singels and Ashiel Jumman, it also provides a production efficiency report that includes crop stress indicators, actual irrigation, rainfall and evapotranspiration totals and the associated cane yield and cane quality potential. SEBAL uses energy balance theory to derive land surface characteristics such as canopy temperature and leaf area index from satellite, such as Landsat, Modis, and Meteosat, and weather data. 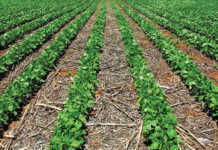 Singels and Jumman say that SEBAL is being evaluated to determine its accuracy and usefulness for generating estimates for crop water use, biomass yield and water use efficiency. From these weekly, monthly and seasonal totals of evapotranspiration, crop growth and water use efficiency can be calculated and mapped for individual lands, which can be accessed via the Internet. Phone SASRI on 031 508 7400, email [email protected] or visit www.sasa.org.za/sasri.